Once toddlers and preschoolers have a fair understanding of the letters of the alphabet, a fun activity to do is to learn to spell their name. One of the things I have been doing to promote name recognition with Little Dude is writing his name on all his books. So, before we start reading, we say the letters of his name out loud. 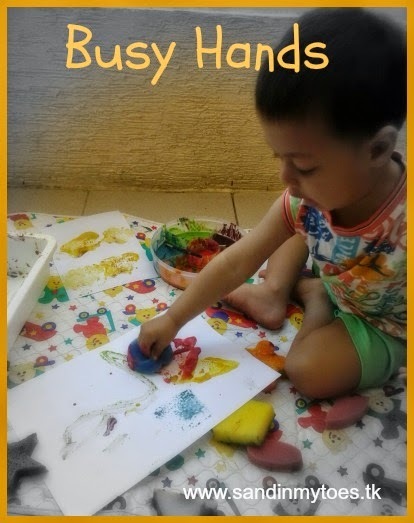 This simple activity has helped him learn how to 'spell' his name, and he remembers it quite well. As with most learning, practice is important. 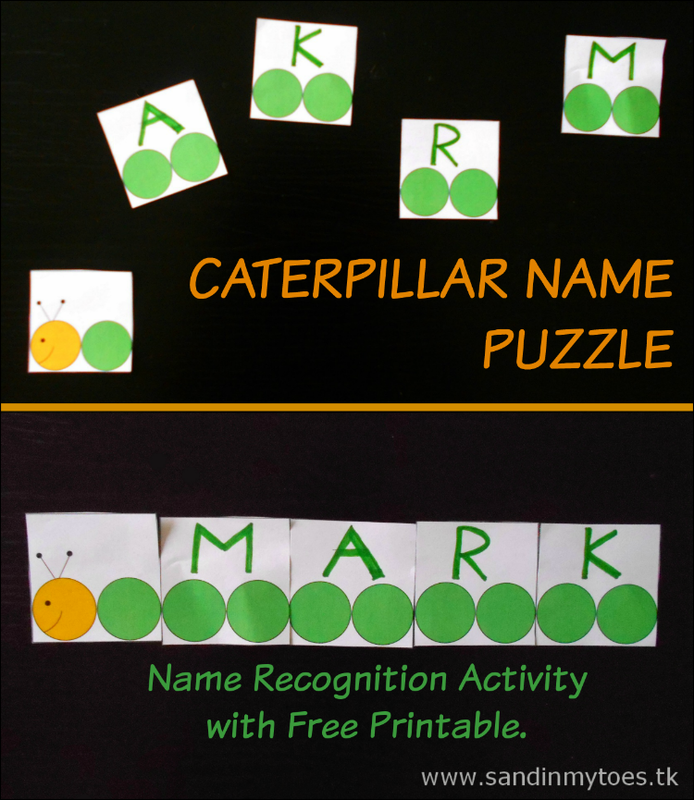 Name recognition activities like the Caterpillar Name Puzzle we did recently are an interesting way for your child to practice the letters in their name. It's very easy to do, and you can customize it to your child's name with the free printable below. 1. Take a colour print-out of the free printable (link below). You can take two printouts for longer names. 2. Cut out the required number of squares to spell your child's name. 3. Write the name using a felt-tip marker. If you are looking for printable alphabets, you can use the free printable letters from our Alphabet Matching Activity. Older kids can even write their name themselves and you can make this a name writing activity! 4. Place the letters jumbled up on a table or tray. 5. 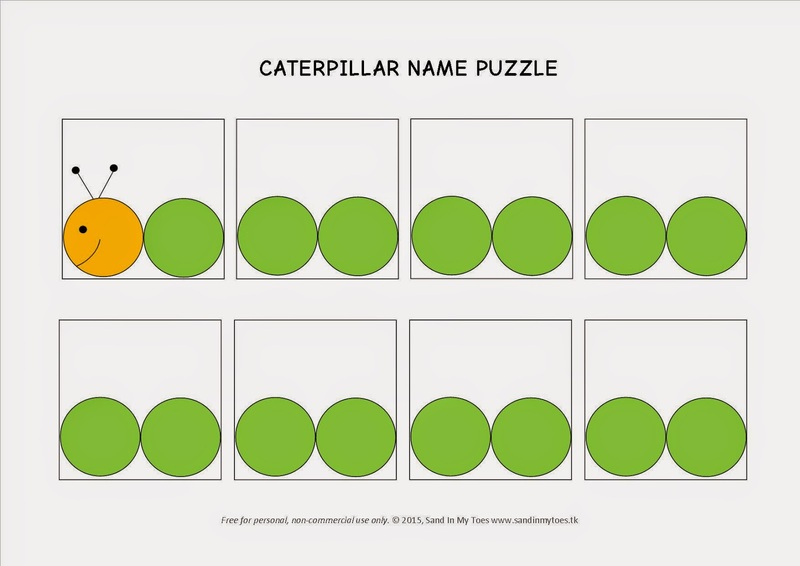 Put the 'head' of the caterpillar first to give your child a starting point, and ask them to arrange the letters in the right order in their name. Little Dude liked doing this, and he got it right too! The picture below is a set-up I created to demonstrate the activity. 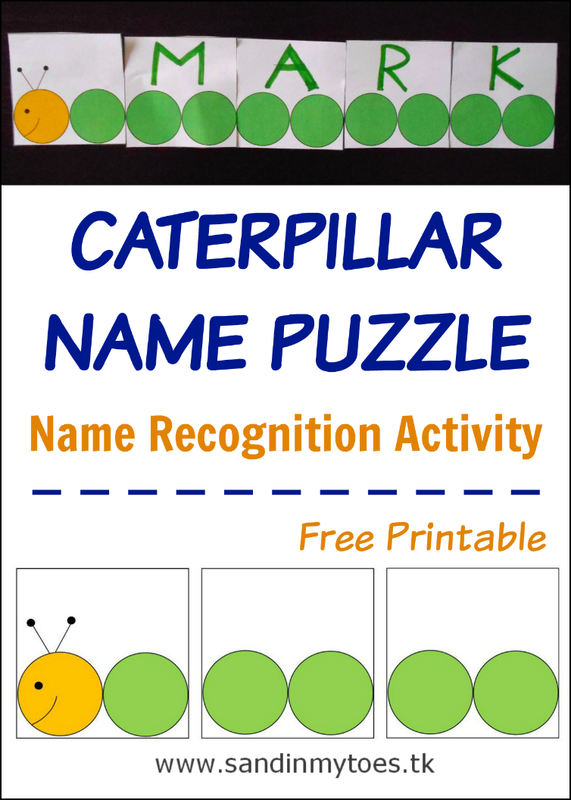 Download free Caterpillar Name Puzzle printable here. 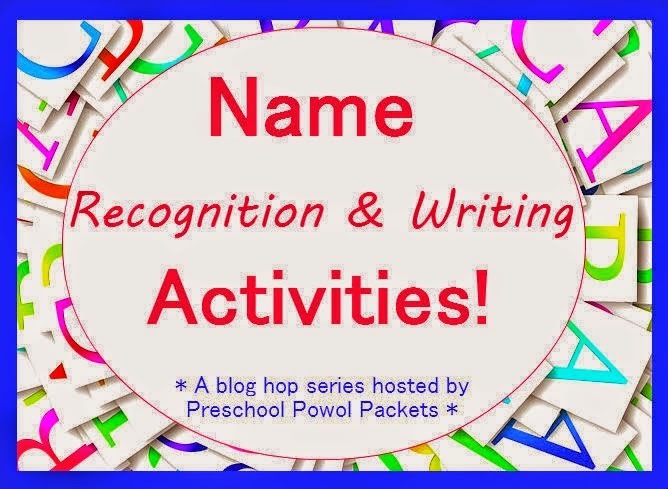 This post has been written as part of the Name Recognition and Writing Series on the Preschool Powol Packets blog. Visit them for some more great ideas on name recognition and writing activities. That's a great idea, Lucy! That's great, a few visual activities really do help with the recognition! How creative! Going to do this with my three-year-old. Great idea for little ones to learn their name. Hope he likes the activity!